Despite popular belief, the opener is not what actually lifts the doors of your garage. This occurs because of the door springs. The tension from the springs is where the power comes from to actually lift the door. This doesn’t mean that the opener isn’t just as important. Without the garage door opener, access to your garage would be difficult. Since we install so many, we felt the need to inform you of how they actually work. Knowing a little bit about them and how they operate might just help in keeping you and your family members safe from potential harm. It is always our goal to make sure that our customers know how every part of their door operates so that they can protect themselves. It is a motorized piece of equipment. The motor is a part of the power unit that is attached to the door track. There is a trolley located at the top of the garage, which moves back and forth allowing you to open and close the door. Once the motor is activated, the trolley slides along a track by a belt. If there is ever a power outage, there is a safety release that you can pull to disengage the door from the automatic garage door opener. This means that you can then use the doors manually. There are set limits on the power unit, which control just how much the door is able to open and close. Your garage door opener is found just above the door. The power unit, however, is situated in the back of the garage. 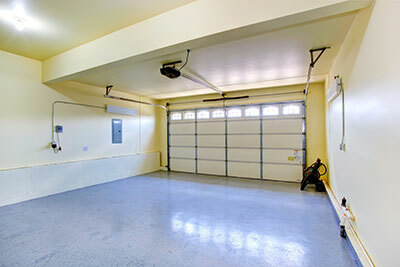 It is important for a homeowner to remember that their garage door is typically the biggest moving part of their home. 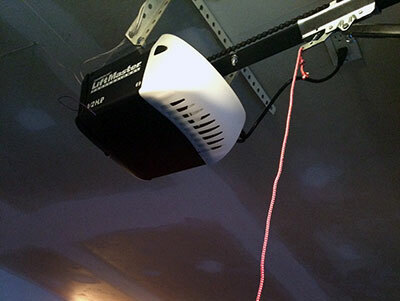 If the garage door opener is not properly adjusted, it can put forth so much force that it may not be able to reverse in an emergency situation. The technicians will stress just how important it is that you them to properly counterbalance springs to ensure the safety reverse system works. The header brackets must also be securely attached to the structure of the garage wall. If they are not, this might also affect the opener being able to reverse the door in the event of an emergency. You should also make sure you know exactly where your emergency release button is, in case you need to use it. Learn how and when it should be used. Over time the garage door springs may wear out, causing the doors not to work. Pulling this release button without strong springs, could cause the heavy doors to fall down on you. This would be tragic! The technician will make sure your door and the opener are both properly and carefully installed for efficiency and safety. In addition to our properly installing all of the components of your door, we can also handle the maintenance of it. This would require routine check-ups, annually to ensure that all of the parts are working the way they should. At that time the service technicians would lubricate, repair, adjust, anything that they say fit. This not only helps to protect you but it also decreases the amount of money you may have to spend on more costly repairs later. We are here to assist with your entire garage door servicing needs. Let us handle the job while you reap the benefits of our hard work.